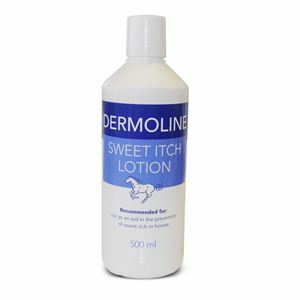 Dermoline sweet itch lotion is a soothing and protecting oily lotion for the relief & prevention of sweet itch. 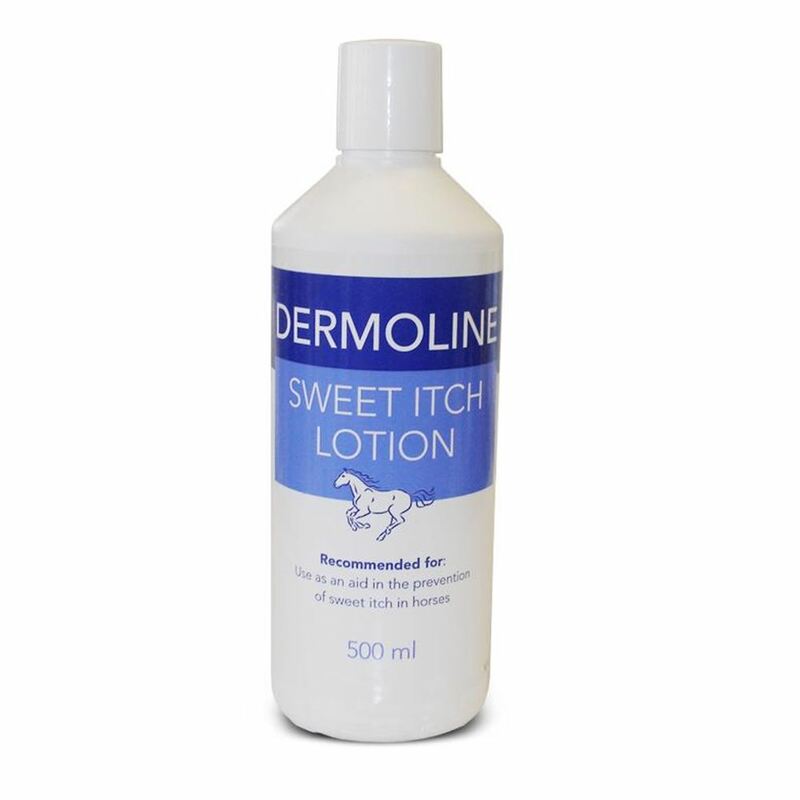 For best results, the dermoline sweet itch lotion should be applied before start of midge season then use routinely on horses & ponies at risk. By doing this, the biting midges that cause a reaction in some horses that is known as sweet itch are repelled, and any soreness soothed to prevent the need to rub.